Utah’s unopposed bid to host the 2019 Westercon won the site selection vote. The results were announced on July 2 at this year’s con in Tempe, Arizona. There is also a Utah for 2019 bid for the NASFiC, which if selected will be held in combination with Westercon 72. I am thrilled to have had my design selected to be the new World Fantasy Award. This design relies heavily upon the majesty surrounding trees. I have always viewed trees as being magical, mysterious and oftentimes macabre. They have spurred human imagination for millennia and continue to do so. I live in a rural area in north Texas and am surrounded by numerous ancient oaks. I have always felt that the trees are full of stories. Many of the older oaks have witnessed sweeping changes brought on by humans and extreme weather events brought on by nature. It was my intention to leave the design open-ended so that it could be interpreted by the viewer. However, one personal view of the design that I would like to share is that the tree represents the story written on paper, and it is being depicted as grasping the mind of the reader, which is represented by the disc. The sculpture can be seen in many ways, but what remains constant is that trees are intrinsically powerful and magnificent. The artist is already hard at work doing all the bronze-casting/welding involved in making the awards. 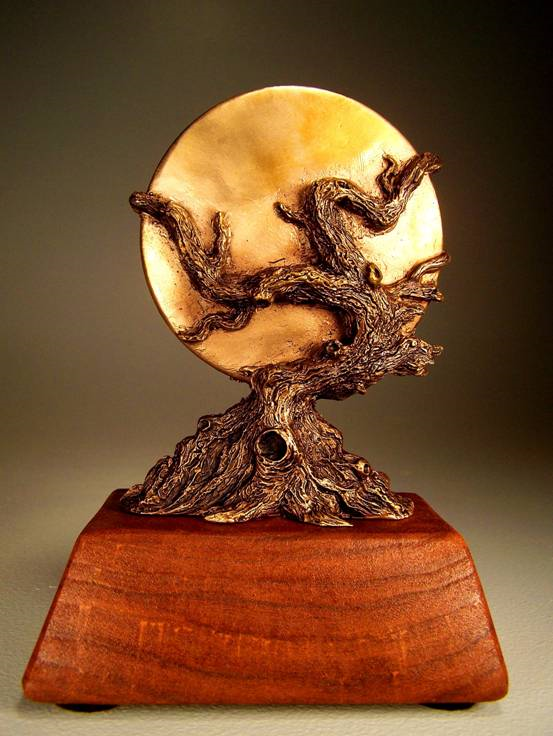 Vincent Villafranca’s design for the new World Fantasy Award trophy has been chosen the winner by the World Fantasy Awards Administration and the Board of the World Fantasy Convention following a year-long public competition. Professional artists already proficient in 3-D arts working within the fantasy/horror community were invited to submit designs in the first instance, and those shortlisted were then asked to supply a model and specifications. 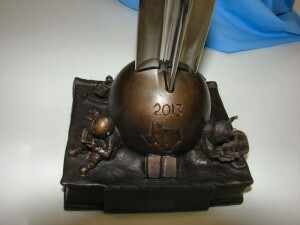 A professional foundry provided a quote to produce the awards in the future, to ensure it would be within the budget of the seated World Fantasy Convention as well as future conventions. 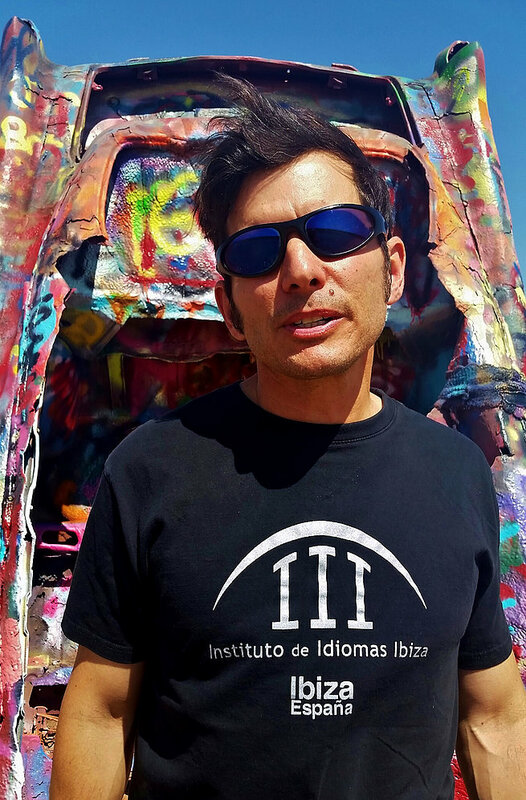 Villafranca will be at the 2017 WFC in San Antonio, Texas, where the awards will be presented for the first time. 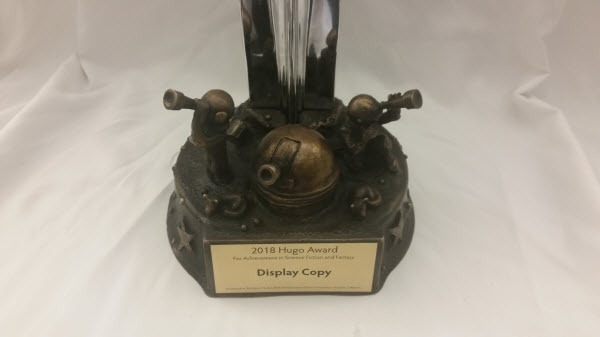 Last year’s WFA winners, given certificates at the 2016 award ceremony in Columbus, OH will get copies of the new statuette, too, once they have been cast. 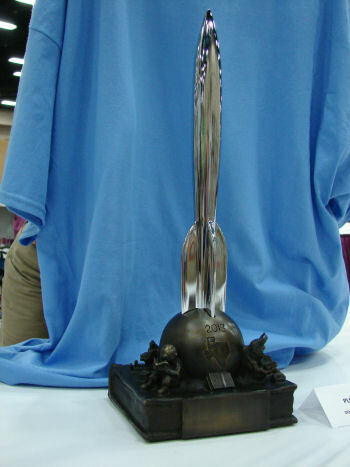 There is no financial remuneration for the winner, as the Awards Administration and the Board of the World Fantasy Convention are not fund-holding entities; each convention is run by a discrete group of people and is self-funding, so this was not a commercial opportunity for the winning artist. However, Vincent Villafranca will receive two life memberships to the World Fantasy Convention as a small token of our thanks. Semi-finalist Misty Hawkins will receive two memberships to the 2017 World Fantasy Convention. The move to replace the WFA’s bust of Lovecraft, designed by Gahan Wilson, gained impetus in 2014 when Daniel Jose Older collected over 2,500 signatures on a petition calling for the replacement of “avowed racist and a terrible wordsmith” H.P. Lovecraft on the World Fantasy Award. 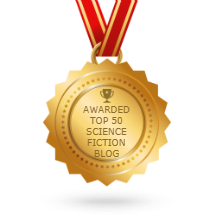 Discussion snowballed in social media and many authors – including past WFA winner Nnedi Okorafor – urged award administrators to move on from the Lovecraft image. Within a few months The Guardian was reporting that the board of the World Fantasy awards “was ‘in discussion’ about its winners’ statuette”. When Sofia Samatar won in 2014, she made a statement about the controversy in her acceptance speech, saying “I just wanted them to know that here I was in a terribly awkward position, unable to be 100% thrilled, as I should be, by winning this award, and that many other people would feel the same, and so they were right to think about changing it.” However, the Board continued using the Lovecraft trophy through 2015. 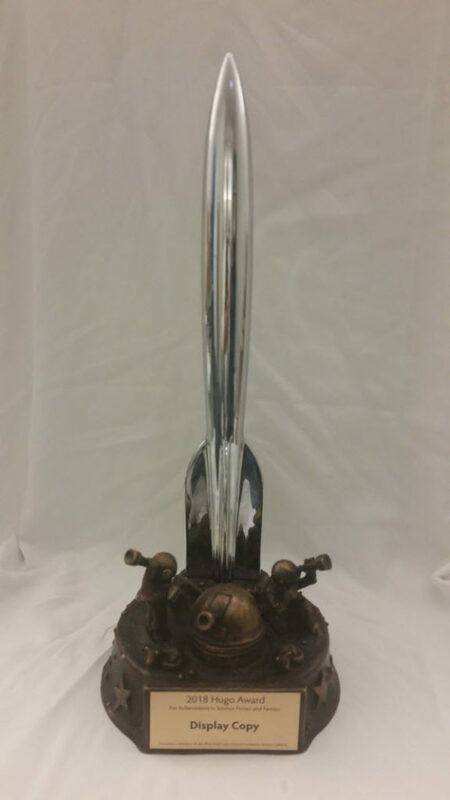 The Board of the World Fantasy Convention and the Awards Administration would like to thank world-famous artist Gahan Wilson, who sculpted the original WFA Statuette. The bust of HP Lovecraft, which was in use for more than four decades, was donated in perpetuity and will continue to live on in the shape of the nominee pins given out to all those shortlisted for a World Fantasy Award. The Awards Administration wanted something representational that would reflect the depth and breadth of the fantasy field, from horror to high fantasy and all stops in between. Trees—good trees, evil trees, prophetic trees, harboring trees, forests full of demons, forests of sanctuary—turn up throughout art and literature from the very beginning. They represent life, strength, nature, endurance, wisdom, rebirth, protection; they symbolize the link between heaven and earth. In Christian mythology, mankind starts with the Tree of Knowledge of Good and Evil. In Norse mythology, the entire structure of the universe is dependent on the giant ash Yggdrasill, the World Tree, which many Eastern European countries see as a home to the spirits of the dead. Indian mythology has the cosmic tree Asvattha, and there are plenty of fantastical trees in Greek and Roman mythology too, including dryads, the nymphs who inhabit trees, the Dodona grove of prophetic trees, and Argo, Jason’s ship, which maintained the magical properties of the tree which provided its wood. The Green Man is a magical figure in many countries; druids are tied to the oak and the ash; some oak trees were thought to be oracular. Yews guard the entrance to the underworld, rowan keeps witches away. In Native American myth the hero Gluskap created humans by shooting an arrow into the heart of a birch. In Persia, the tree which grew from the decomposing corpse of the first human split into a man and woman, and the fruit became the other races of mankind. Buddha reached enlightenment under a Bodhi tree, which in turn inspired Robert Jordan’s Chora trees. Trees bestride fantasy literature, from Roger Zelazny’s The Chronicles of Amber to Robert Holdstock’s WFA-winning Mythago Wood cycle, C.S. Lewis’ Narnia chronicles to Michael Sullivan’s Age of Myth cycle, the godswoods of Westeros in George R.R. Martin’s A Song of Ice and Fire, J.R.R. Tolkien’s Ents and Enid Blyton’s Magical Faraway Tree. But not all trees are nurturing: it’s the treatment of a Chora sapling which begins a bloody war in Jordan’s books. Tolkien’s Mirkwood is as evil as its denizens and Weasels and Stoats rampage around Kenneth Grahame’s Wild Wood; J.K. Rowling’s Whomping Willow has terrified millions, while Patrick Rothfuss’ Cthaeh, lurk unseen in the branches of a giant tree in the fae realm. There’s the baobab tree in Antoine de Saint-Exupéry’s The Little Prince, Ray Bradbury’s The October Tree, the apple tree in The Wizard of Oz, and many more. Vincent Villafranca has encapsulated the worlds of fantasy in the branches of our new award, and we thank him. The 2017 World Fantasy Convention takes place in San Antonio from November 2-5. Fred Duarte Jr. Photo by Mark Olson. The convention-running group ALAMO, Inc., the Alamo Literary Arts Maintenance Organization, debuted the Copperhead Award at Smofcon last weekend. 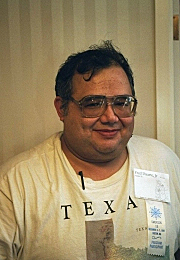 Fred Duarte, Jr. (1957–2015) is the first winner of the new award, voted to him posthumously by the ALAMO Board of Directors. Fred made an indelible impact on Texas Fandom as a conrunner, a fan, and most importantly as a friend. As a conrunner, Fred had a deep resume. He chaired or co-chaired two World Fantasy Cons (2000, 2006), four Armadillocons (1987, 1988, 1992, 1995), a Westercon (1996), and Smofcon 13 (1995). He ran the WSFS division for LoneStarCon 3 (2013), was vice-chair for LoneStarCon 2 (1997), and headed the “Program ‘Oops’” department for Noreascon 3 (1989). The Copperhead Award trophy will be designed and cast by Chesley Award-winning sculptor Vincent Villafranca of Wise County, Texas. A close up of the 2013 Hugo Award base by artist Vincent Villafranca. Photo by Ed Dravecky. 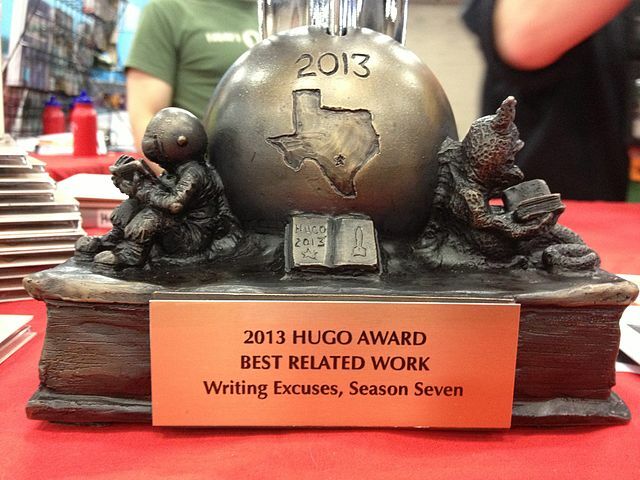 Artist casting the 2013 Hugo Award base. 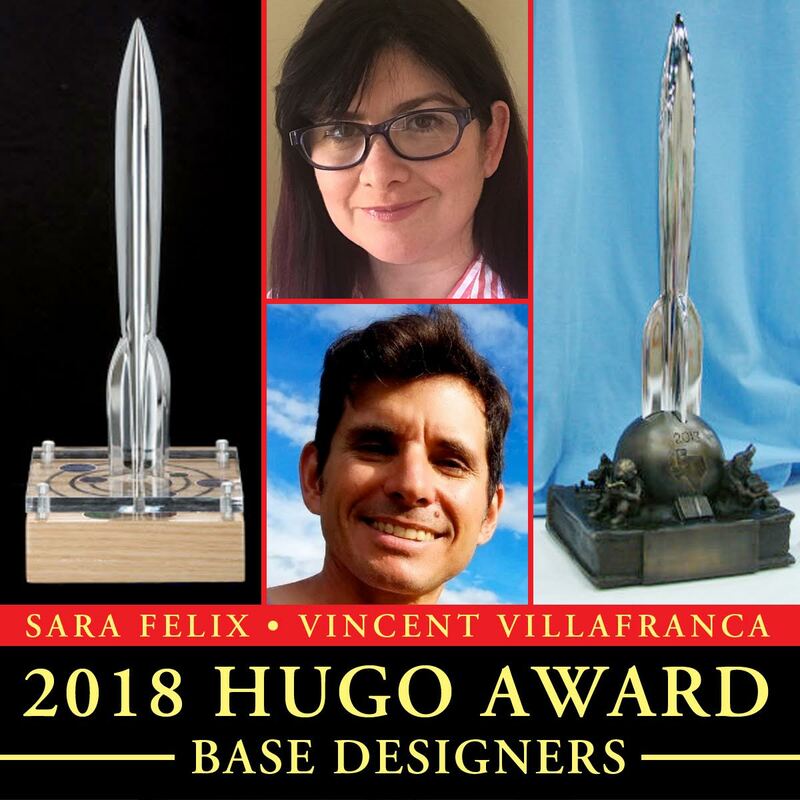 The 2013 Hugo Award base will be designed by Texas-based artist Vincent Villafranca. 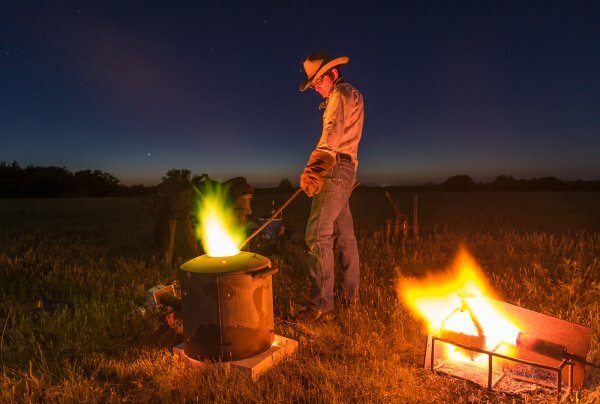 Vincent is a Chesley Award-winning sculptor who produces futuristic and fantastic bronzes using the traditional lost-wax casting process. In keeping with tradition, the design will not be revealed until the convention itself.